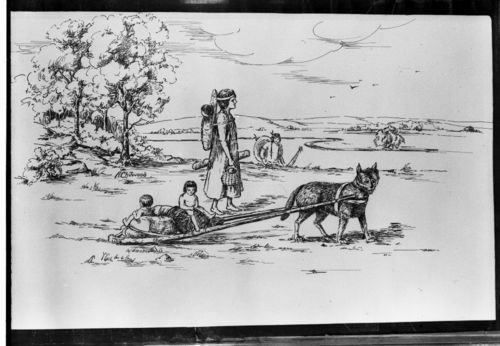 This is a photo of a drawing of two Indian children sitting on a travois being pulled by a dog. In the drawing as well is a woman walking alongside with a baby in a cradle board. They are probably part of the Kansa or Osage Indians.